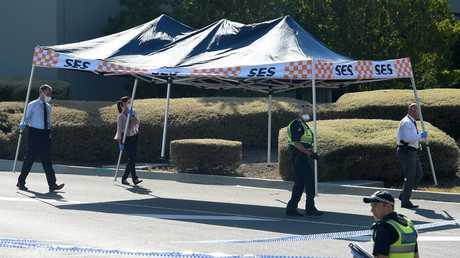 Police probe murder as body found in Bundoora. 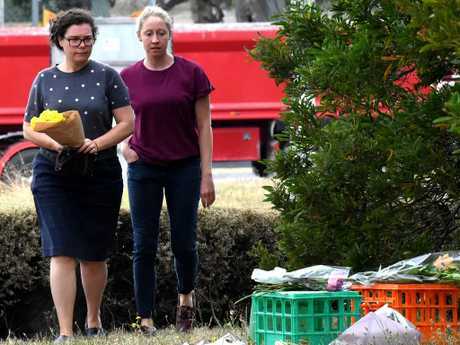 A YOUNG nternational student brutally murdered in Bundoora was on her way home from a comedy show in Melbourne CBD, with her last known contact a FaceTime call with her sister, her uncle has revealed. 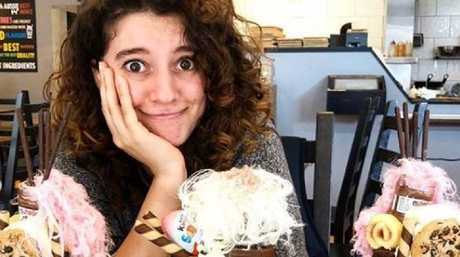 Arab-Israeli international student Aia Masarwe, 21, was speaking to her sister until "her phone fell", uncle Rame Masarwe told the Herald Sun. "She was talking to her sister and seemed okay, but then her phone fell and then she heard different voices," Mr Masarwe said. 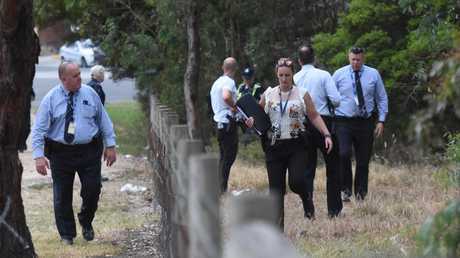 Passers-by discovered a woman's body in bushes near the Polaris shopping centre on Plenty Rd at 7am on Wednesday. While authorities are yet to formally name the victim, the Herald Sun understands Aia's father travelled to Melbourne overnight to identify the body. 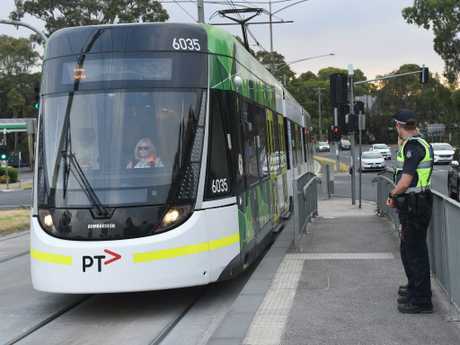 Authorities are probing whether she was followed after getting off a number 86 tram at a nearby stop. Police say whether she was followed home remains an open part of the investigation. Mr Masarwe, who lives in the United States, said he was told of the shocking news by his nephews in Israel. He said Aia was studying business on a scholarship at La Trobe University in Bundoora. She had lived and studied in China with one of her sisters, before moving to Australia. 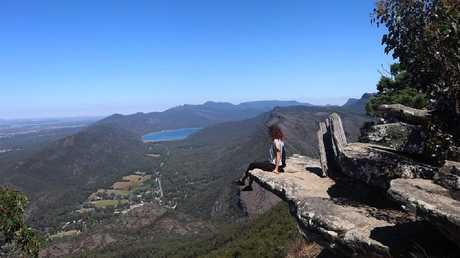 Posts on her social media accounts show the young woman visiting tourist spots around Victoria, documenting a hike at the Grampians, skydiving over the Great Ocean Road and a visit to Melbourne's Shrine of Remembrance. Mr Masarwe said the family was in shock. "We thought Australia was safe," he said. "She was studying alone." 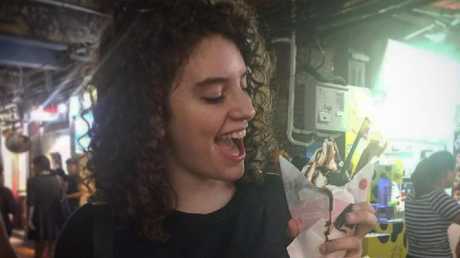 A "bright girl who loved adventure", Aia was "always smiling, always able to have fun with anyone she met," Mr Masarwe said. "She loved adventure, she even went skydiving recently." Mr Masarwe said his niece was highly intelligent and an accomplished student. "Aia was really dedicated to her studies and was always top of her class," he said. Aia's sister first read about the murder online. 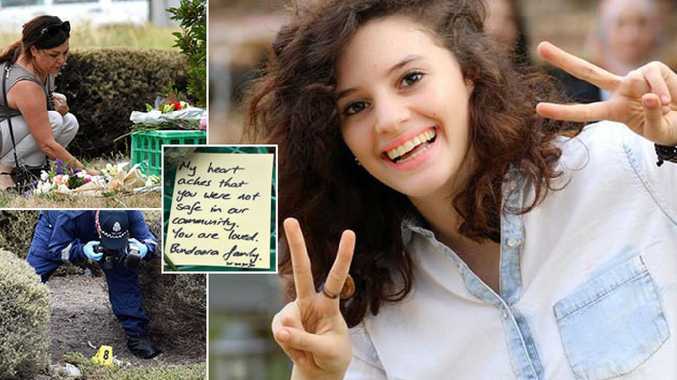 Her uncle, Abed Katani, told Israel's Ynet newspaper that one of Aia's three sisters, who lives in China, read Australian news reports about a murder in Bundoora and became concerned. Knowing it was the area where Aia lived, she tried to contact her sister but received no reply. She was told by a family member the victim was her sister. Aia was from the central Israeli city of Baqa al-Gharbiyye - between Tel Aviv and Haifa. One lsister ives in China with her father, according to Ynet. Another two sisters live in Israel with their mother. Residents of Baqa al-Gharbiyye are arriving at the Masarwe family home to offer condolences. Mr Katani said Aia had left China for Australia after winning an English studies scholarship. He said the family would mostly reunite on holidays. He said his niece was an excellent student in high school and had a special love of languages. She had studied Chinese and English and had been sent by Shanghai University to Melbourne on a 10-month student exchange. "The last time I spoke to Aia was a month and a half ago. We had a usual conversation about her studies and she said everything was fine. I wish I could hear her voice again,'' Mr Katani said. 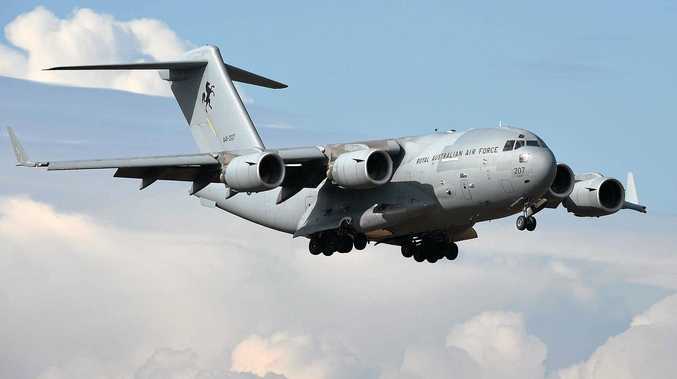 According to reports in Israeli media, the Israeli consul in Canberra and the Israeli Foreign Ministry will assist in transferring the body for burial in Israel. Distraught friends of Aia have paid tribute to the 21-year-old, saying she had always dreamt of moving to Australia. And she was known as a "dreamer" who loved to laugh and learn. 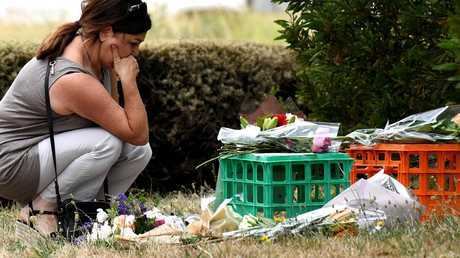 School friend Rula Wadie Mawassi said she was "so happy" living in Melbourne. "That is what she dreamt for," she said. "She was laughing all the time … even when we finish the exam, even when we were so stressed because of the exams period. She was a dreamer." Ms Masarwe graduated from Al-Qasemi Academic College of Education in Israel in 2017. The language student was "intelligent" and passionate about learning, said her friend. "She likes to talk in other languages such as English, Chinese," Ms Mawassi said. "All the school staff love her, because she is so smart and intelligent." Just two days ago, Ms Masarwe posted a video of a kangaroo jumping down the street. "(I thought) everything was okay," said Ms Mawassi. 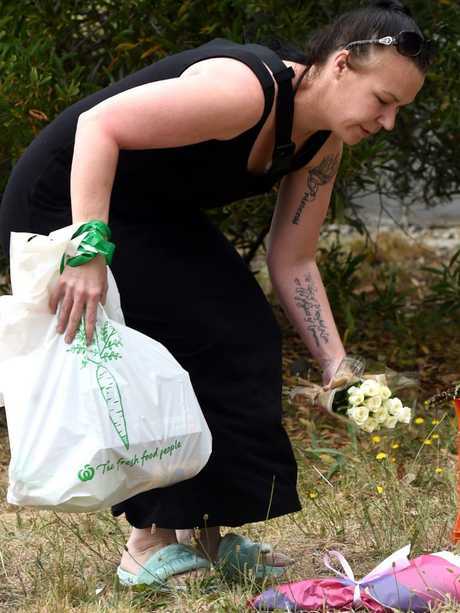 Flowers and handwritten tributes have been left by mourners at the site where her body was found and a large group of visibly upset young people left flowers there around midday. A handwritten card placed at the site reads: "RIP my dear. I will miss you so much and your positive energy. I love you always." Another read: "You are in a better place now. Just rest and be at peace now." The resounding sentiment at the scene is that people, particularly women, should be safe to walk in the community. One person wrote: "Everyone has the right to get home safey." 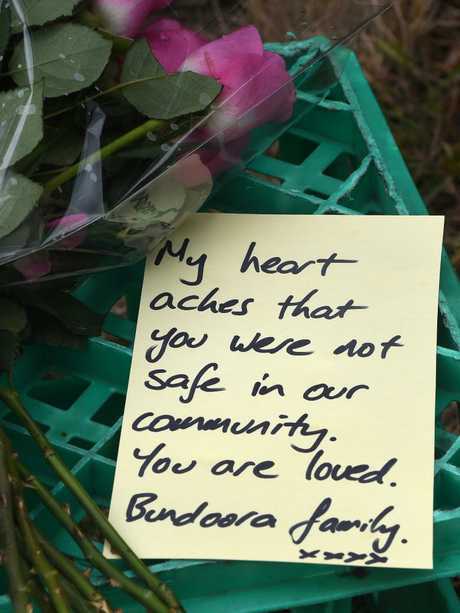 Another note said: "My heart aches that you were not safe in our community. You are loved." A young local woman, Jesse, broke down as she told the media she often walked past the place where the victim was found. "I don't think women should be discourage to walk home," she said. Local father of four Con Ippolito prayed as he laid flowers on a milk crate marking where the Aia Masarwe's body was found. He almost broke down in tears as he spoke of his concerns for his children's safety. "We used to be able to leave our door open at night but now we can't even walk … you have to look over the back of your head," he said. "You have to watch your back - it's beyond a joke. "I make my kids let me know wherever they go. I am scared something is going to happen to them and they might not come home." Tributes have also been left online, with Tarek Amarne writing: "One of the best girls that we knew." 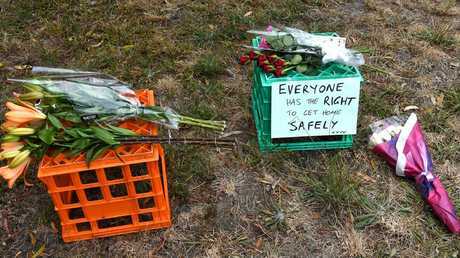 Another man wrote "God bless you sweetheart" and asked for the community not to spread rumours about the tragedy. Marah Zabad wrote it was "tragic" and called for an end to violence. "There aren't many words possible," she said. 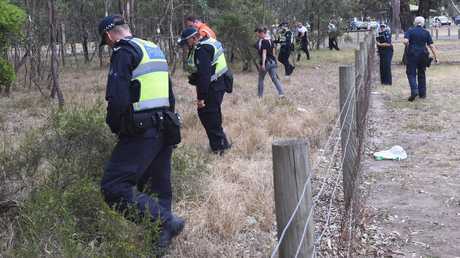 Meanwhile, police have resumed a search of bushland opposite where Aia's body was found yesterday morning. Officers have been concentrating on a patch of land within the vacant block and were also seen crouching at the site, discussing among themselves before the crime scene was extended. A police helicopter is also hovering above the scene. Aia Masarwe's body was found in bushes near the Polaris shopping centre on Plenty Rd at 7am. 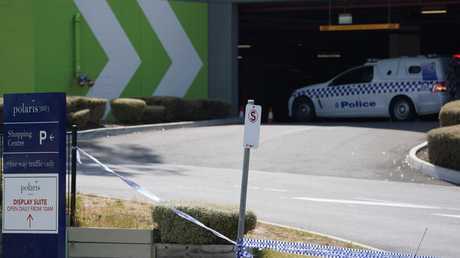 The Route 86 tram from the CBD to Bundoora RMIT has a stop on Main Drive, just 100m from where her body was discovered. Police are not certain Aia had been on a tram, but believe the proximity of her body to a tram stop makes it a possibility. They are checking the student's myki card, and focusing on a period from about 11pm on Tuesday to 1am on Wednesday. They hope those driving through the area might be able to provide dashcam footage that could yield vital clues to the killer's identity. Police have not indicated whether a weapon was used, and it is not known whether Aia was close to home when she was killed. 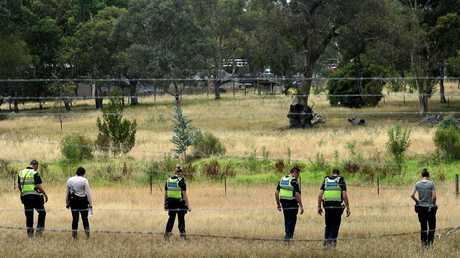 Footage showing a man stalking murder victim Eurydice Dixon from the city to the Princes Hill soccer field where she was killed last June proved crucial to cracking the case. 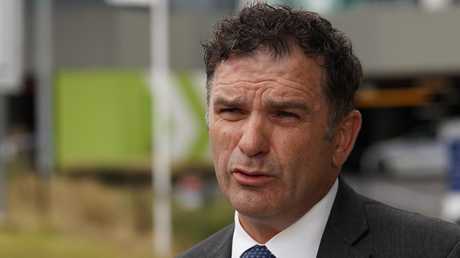 Detective Inspector Andrew Stamper, of the homicide squad, said police would investigate whether Aia had been sexually assaulted. "(It's) an active line of investigation," he said. "The investigation is in its early stages. We don't know what the circumstances are." 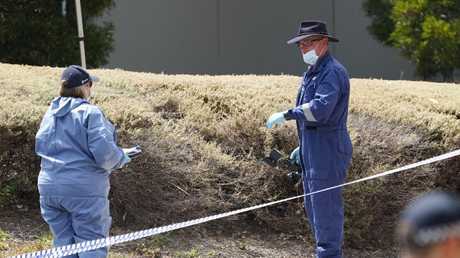 The young woman's body was removed late on Wednesday. She was wearing sandals and some of her clothing appeared torn. 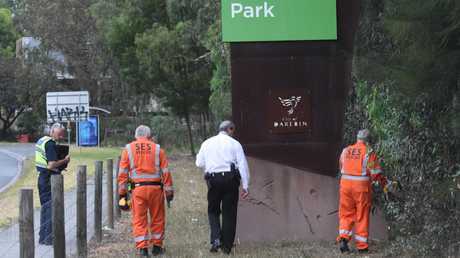 The police and SES search party also crossed over to Bundoora Park, on the other side of Plenty Rd. 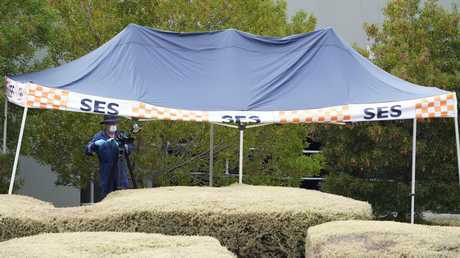 Homicide detective inspector Andrew Stamper said police were investigating whether the woman had been sexually assaulted before her death. Picture: AAP. A family living over the road from where the body was discovered said it was a scary and "strange" situation, knowing it happened in such a built-up area. "That's the strange thing, you would see so much traffic and so many people around here. Even at night, it's always busy. "It's scary that it could happen right here." "It's very safe, a lot of students, young families, never have we had any problem," she said. Locals were stunned, with business owner Ardit Myrteza saying he was shocked when his business partner told him of the death. "It's awful. It's very tragic," Mr Myrteza said. Detectives are urging the public to come forward with any information they may have about the death. Picture: AAP Image/Stefan Postles.